In 1917, the Blessed Virgin Mary appeared to three children herding sheep in rural Portugal. 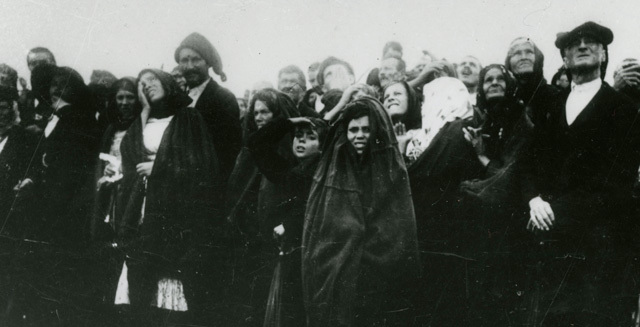 She said to them, “I am the Lady of the Rosary,” and the sleepy village of Fatima was transformed by what would become one of the most famous visions of the Blessed Mother. As we approach the centennial of this Marian apparition, this digital collection aims to capture the breadth of devotion to Our Lady of Fatima worldwide during the twentieth century. Devotion to Fatima spread beyond Portugal to the United States by the 1940s, and Our Lady was embraced as an inspirational symbol in Western anti-communism movements through the 1950s and 1960s. The Our Lady of Fatima collection contains historical materials related to the apparition of the Blessed Virgin Mary in Fatima, Portugal. The collection includes photographs, holy cards, postcards, stamps, sheet music, and other materials related to popular devotion to Our Lady of Fatima during the twentieth century. For more information, please contact the Marian Library at mlimri@udayton.edu.